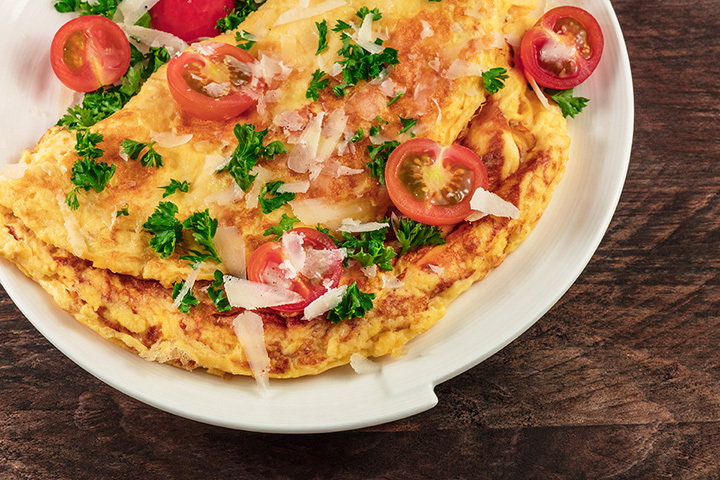 Omelets are an essential part of breakfast in Georgia, so there’s no surprise that you can find plenty of places serving up the most tasty variations on this morning staple. Omelets come loaded with all the meats or veggies you need to fuel your day, all wrapped in a tasty egg blanket that’s sure to satisfy. Start your morning right at these 10 best places for omelets in Georgia. This family-owned restaurant has the hands of an award-winning chef at the griddle cooking up the most amazing omelets you've ever tasted. You can create your own omelets, or choose from one of their menu options. Their omelets are pretty massive, so they let you get a half size in case your appetite isn't as big as your eyes. Omelets is in their name for a reason—they know their way around this tried and true favorite! Their impressive list of omelets features just about any theme you could want, including Philly cheese steak, crab, shrimp, and more. And even though their omelets are filling on their own, you also get grits and toast to round out your meal. This beloved French restaurant sure lives up to its name—you feel just like family. They have a few different omelets on the menu, but this is one of the only places you'll find a smoked salmon one, which includes dill cheese and tomatoes. Best of all, they offer online ordering so you can skip the wait and dive right in. This wholesome, hometown cookin’ is a surprising gem in metro Atlanta. They don’t have an extensive omelet menu, but their pimento omelet with homemade red pepper jelly is a crowning jewel of their breakfast lineup. They pride themselves on using wholesome, locally-sourced ingredients in all their dishes, so your omelet will taste as fresh from the farm as possible. Oakwood Cafe has a lot going for it, but their omelets are first on the menu for a reason. From meat and veggies, veggie-only, or lean varieties, there's something for every diet. The only thing that's better than their omelets are their prices: you can fill up for under $10 per person here. Marietta’s three-egg omelet selection is probably the largest of any diner in Georgia. From single flavors like mushroom, broccoli, or Swiss cheese omelets, to omelets packed with “the works,” you get the exact flavors you're craving to suit your taste buds. The best part is that breakfast is served 24/7. Specializing in all things eggs, it's no wonder this place knows how to do it on what the right way. Fans rave about their quiche omelets that come with creamed spinach and artichoke, ham, onion, mushroom, and cheese. If quiche isn't your thing, they have plenty of other meat or veggie varieties to choose from. This six-location Georgia favorite is dishing out amazing omelets at each of their restaurants. This restaurant is a step back in time with its old-fashioned service and commitment to quality, but one of its biggest stand out’s is the build your own omelets menu. You choose your cheese, veggies, and meat to create your own one of a kind breakfast that you're sure to devour. This old-fashioned coffee shop as ethnic flare to every meal, and their chorizo omelets and steak poblano omelets prove it. Locals agree it's the best breakfast place in town, and they have some of the best prices to match. Every omelets plate comes with toast and your choice of grits, hash browns, or home fries. Their impressive list of omelets and scrambles ensure you never have to walk away hungry. From classic favorites like Greek or veggie to inventive dishes like the Emory Omelets (spinach, Portobello mushroom, and egg whites), there’s something for every palate. It’s a cozy spot that stays busy, so getting there early will cut your wait time.